EMC news - It's been a locally-based protest of a Canadian government policy. And while it continues, it is getting international attention. It all began as a personal crusade by Rev. Michel Dubord of St. John's Anglican Church in Richmond, protesting the export of asbestos from Canada to developing countries. In April, Rev. Dubord held weekly one-hour silent protests at Memorial Park in Richmond, joined by several others as they stood beside a giant sign objecting to Canada's export of asbestos. In May, Rev. Dubord brought his weekly one-hour silent protests to Village Square in Stittsville where the sign was set up to be viewed by motorists passing by on Stittsville Main Street and on Abbott Street. Rev. Dubord and his group of a handful of others were at the Village Square corner every Wednesday at 5 p.m. throughout May. But last Wednesday, May 30, saw an international aspect develop as a reporter and photographer from Der Spiegel, a German weekly news magazine which has a circulation of over one million, visited the group, interviewing Rev. Dubord as the magazine is working on a story about Canada's export of asbestos. The reporter is planning a trip to India as well as part of the story since India is one of the countries to which Canada exports asbestos. The German reporter cannot understand why Canada continues to export asbestos, a cancer causing material, to countries such as India. In Germany, asbestos is no longer used, much like in Canada where asbestos is viewed as a cancer-causing material that is no longer used. 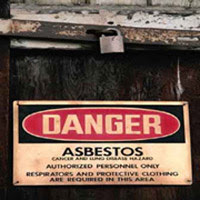 But federal government policy still allows for asbestos to be exported to other countries. It is this export of asbestos that Rev. Dubord and his supporters in this cause are opposed to. Rev. Dubord is not giving up his protest. Indeed, he foresees continuing with the protests through to the winter and even beyond. He is now taking his silent one-hour protest vigils to Kanata. Beginning this past Wednesday, June 6, and continuing this coming Wednesday, June 13, he and his protest sign will be at the corner of Castlefrank Road and Kakulu Road in Kanata, again at 5 p.m. After these two weeks at this location, he expects to continue the Wednesday protests at another Kanata location. Rev. Dubord feels that the protests are making a difference, at least in increasing awareness of the situation and getting Canadians to ask questions. He likens the protest to throwing a pebble into the water and creating ripples. If the pebble is never thrown, the ripples will never happen. So, by having these protests, he is throwing a pebble into the waters of Canadian politics. Where any ripples will lead remains to be seen. He is frustrated, as indeed the Der Spiegel reported has been, by the lack of Canadian government response to these concerns. Even the Der Spiegel reporter admitted that the Canadian government is being very silent on the whole issue, not responding to any inquiries. Rev. Dubord is hopeful that the Anglican Church of Canada may soon be issuing a formal proclamation on the issue. He feels that if this happens, adherents of other faiths may also take up the challenge and start asking questions about Canada's policy about the export of asbestos to developing countries. Rev. Dubord wants to get a conversation going among the public about why Canada is pursuing this policy of exporting asbestos, a known cancer causing material. In Canada, asbestos use is not banned but because of its known health risks, Canadians simply do not use it. But despite the known health hazards, Canada exports thousands of tons of asbestos each year to countries like India, Thailand and Indonesia. Most of this Canadian asbestos is shopped overseas as loose fibre in bags. Workers in these countries then dump these bags of asbestos by hand, creating clouds of carcinogenic dust swirling around them. The main question is that if a protect is considered dangerous for the Canadian population, why is it not considered dangerous for those in foreign countries like India. 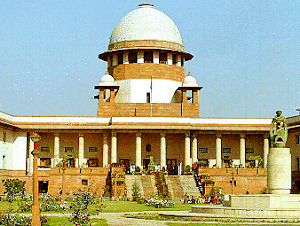 Past governments have removed asbestos from the Parliament Buildings at considerable expense because of its hazardous tendencies. 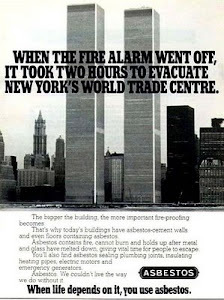 But the federal government still spends money to promote Canadian asbestos to overseas nations. Rev. 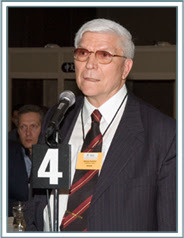 Dubord notes that exposure to asbestos in the countries to which Canada is exporting the substance will cause health problems, perhaps not today but certainly down the road as the asbestos fibres penetrate the lungs of its handlers and start causing respiratory and cancer problems and eventually a prolonged death. 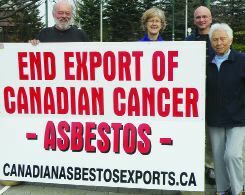 He says that it makes a difference to protest Canada's policy allow the export of asbestos because it tells those whose health has been adversely affected that there are people who care. Chrysotile asbestos is mined in Quebec and exported to developing countries with the support of the current Canadian government. Asbestos mining in Quebec represents the world's fourth largest production of chrysotile asbestos. 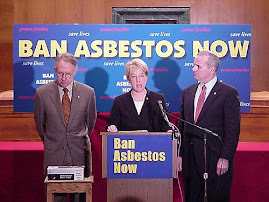 This export of asbestos to developing nations is being done despite the fact that the World Health Organization estimates that asbestos kills at least 90,000 people a year which is about half of all occupational cancer deaths. In Canada, strict occupational health and safety rules prevent the exposure of Canadian workers to such materials. Such rules are not prevalent in developing nations. Asbestos ends up killing since it sheds tiny dust fibres continuously. Once inhaled, these fibres become tangled with lung tissues where they cause cancer, typically lung cancer, asbestosis and mesothelioma. These are killers. Gokak Mills places a high premium on employee welfare. The company hospital, residential complex, educational institutions are one of the best in the region. More than half the company's employees were born and educated at these facilities. Yarn Exporters, Yarn Manufacturers, Technical Textiles, Dyed Yarn Manufacturers.